Everybody’s mouth, teeth, gums and brushing techniques are different. So why, then, are most toothbrushes designed in a one-size-fits-all fashion? When selecting a toothbrush, don’t just grab the first one you see in the aisle. Take a moment to think about which one will best fit your personal needs. A truly effective toothbrush should be able to remove plaque and other food debris that contribute to tooth decay without causing unnecessary damage to the delicate tissues of the gum. Medium and hard bristles push back the gum margins (where gum and tooth meet) exposing tooth surfaces, increasing sensitivity and causing irreparable damage including periodontal disease and cavities. RADIUS® knows the best and most gentle way to clean is with softer bristles, which is why all of our toothbrushes are adorned with finer, longer, softer and more pliable bristles that reach every nook and cranny of your mouth without aggravating the gum line. We believe a toothbrush is no good if using it doesn’t feel good. Making toothbrushes that provide a cleaning experience worth savouring is what we live for, because the bottom line is, when brushing becomes a pleasure not a chore, you’ll naturally start taking better care of your teeth. Our toothbrushes don’t just clean your teeth. 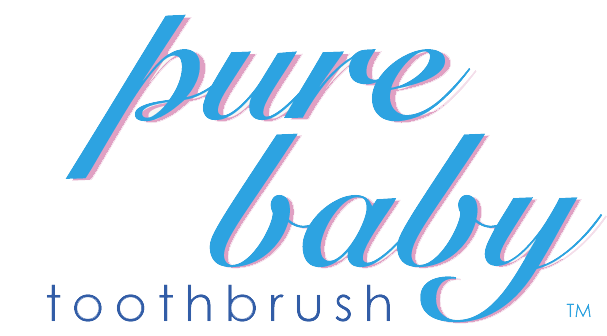 The softer bristles and unique brush head design massage and invigorate your entire mouth. And the smart handles are meticulously crafted for the perfect grip and reach. Whether you’re one year old or 100, left or right handed, a vigorous brusher or a light touch — the RADIUS toothbrush provides you with a more customised and comfortable brushing experience for life. The architects who designed the RADIUS range of toothbrushes are professional sticklers for elegant design. Their unique aesthetic is more than a reflection of functionality — it’s a style statement. After all, you use your toothbrush twice a day, so why not feel a little more fabulous when you do? As effective as they are beautiful, our unique products are defined by bright, bold colors and delightful details. In short, RADIUS products don’t just work better, they look nicer too. We want you to love them, because the more you love them, the more you’ll use them. Did you know, ever since The American Dental Association (ADA) Seal of Acceptance program began in 1931, toothbrushes in America have undergone a thorough screening process by the ADA? Manufacturers voluntarily submit their products for testing by ADA laboratory staff, who evaluate them with the help of more than 150 scientists — experts in dental materials, microbiology, pharmacology, toxicology, and chemistry. Packaging and advertising claims that are supported by the science. After passing the stringent research tests they are awarded “ADA ACCEPTED” accreditation — the official dentist’s stamp of approval. We’ve put a great deal of thought into making our designs not just meet, but exceed, expectations, and we’re proud to say that most RADIUS toothbrushes carry the ADA seal.